This is a die-cut Carhartt porcelain sign. This particular Carhartt sign is black and white. 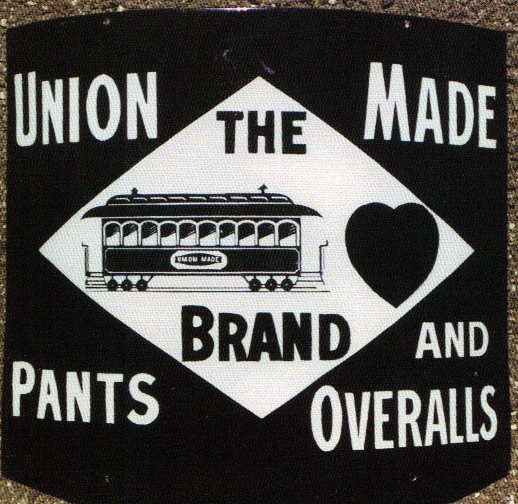 It reads, “The Brand, Union Made Pants and Overalls” and features a black train car and heart instead of the word “Carhartt” in the center.